Back payments are typically paid as a lump sum if the individual is approved for only SSDI. If you have one of the types of disabilities that qualify for Social Security disability benefit payments and prevent you from working for at least 12 months, benefit payments begin the sixth full month of disability. Filing an application soon after an out-of-work diagnosis is received delays the wait for benefit payments. In many cases, applicants are also eligible for back pay. Due to the number of steps involved in the decision-making process, it can take three to five months to process a Social Security disability application. 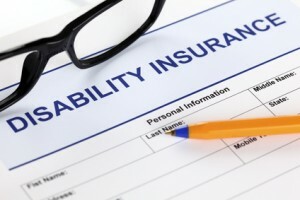 Benefit payments for Social Security disability injuries are paid the month following the month in which they are due. For example, if an individual became disabled on December 01, 2014, the first benefit payment will be for the month of June 2015 and will be paid in June 2015. Payment day is determined by the birth date on the Social Security work record being charged. Lifetime average Social Security-covered earnings determine the monthly payment amount. To meet the earnings requirement, applicants must meet a duration of work test that measures length of Social-Security employment and a recent work test regarding age at time of disability. Applicants can use the benefits calculators on the Social Security website, refer to their electronic Social Security Statements, or consult a Social Security disability lawyer to estimate their monthly disability benefits. Back payments represent benefits for the months between the application and approval dates. Since the waiting period for disability benefits is five months, an applicant may only receive back pay for time following the end of the waiting period and approval date. Individuals who became disabled before applying for disability benefits are entitled to benefit payments that they would have received if they had submitted their applications at time of disability onset. A Social Security disability attorney can help an applicant calculate the amount of back payment or retroactive pay. Interest is not paid on these amounts and retroactive benefits are usually subject to a 12-month cap. Back payments are typically paid as a lump sum if the individual is approved for only SSDI. If approved for both SSDI and SSI, back payment will usually be issued in three installments, each separated by six months. Disability payments typically continue as long as the medical condition keeps the applicant out of work. This does not mean indefinitely, as rehabilitation and medical technologies often enable recovery. The Social Security Administration conducts periodic case reviews to ensure that benefit recipients are still disabled. Recipients should notify the Administration of an improved condition, change in ability to work, or return to work. Get your Free Disability Evaluation Now!